thats sick, he is am awesome rider. this could be heaven or this could be hell!! ride the powderrrr!!!! WOW that got me way to stoked. 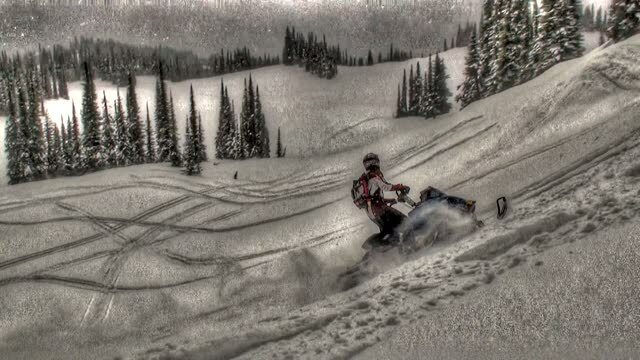 I want to see more HDR sleddin!! If I didnt bike... I would do that. So sick. yee buddy ski doo for the win!!! Do you know what year his sled is? baby drops and why are those skis in the snow? rob do you got a sled two ? Might go somewhere but I doubt it at this point...ya never know though. MTBco: the meeting is tonite..what do you mean by plans? PM me.